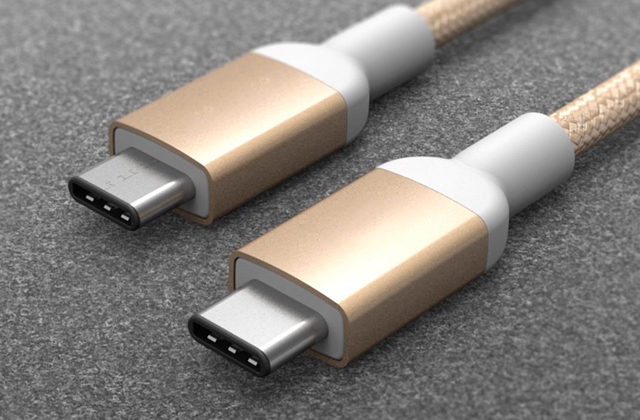 The device was designed with additional USB ports on the front side to guarantee an easier and faster charging of mobile devices. The last software version can be downloaded from official website. 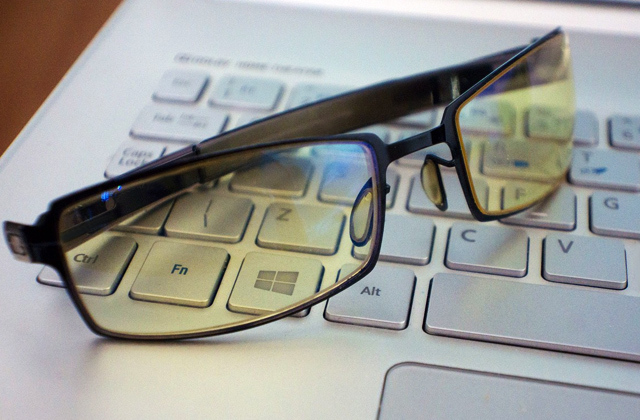 The UPS offers a really comprehensive protection of your PC and other sensitive equipment. You don't want to be afraid of power grid problems! The One-step battery connector prevents it from discharging when the UPS isn't used. The unit comes without a power cord. 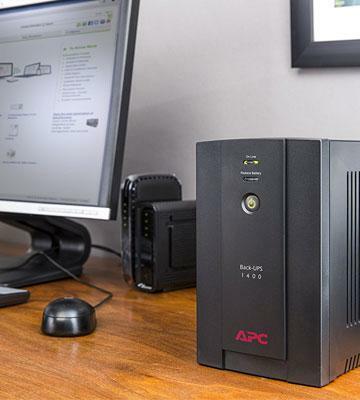 APC BX-series is a powerful UPS that boasts a simple management and complex protection of your personal computer. The UPS can be fixed on the wall to save space near the desktop. The device can't be controlled from a PC. Quite fast recharging of batteries will allow the device to return to the initial state quickly. Relatively a small number of outlets. PowerWalker VI 800 SW/UK is an ideal choice for people living in areas where power outages or surges occur quite often. Protect your equipment with this UPS! The power management function will disconnect up to two connected devices from a power supply if the master device is switched off. A fan becomes quite loud at over 50% load. This user-friendly UPS will be an ideal choice for an office or home. Configure the device's performance in case of power outage! This is a compact UPS having a mini-tower form factor. 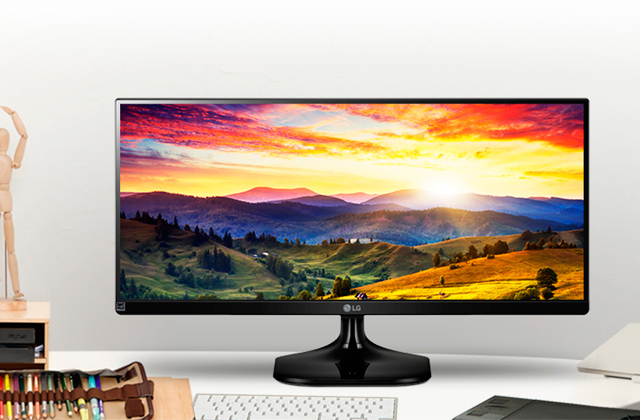 The unit can save your desktop from any voltage fluctuations. Likewise, this device will allow you to finish all running processes properly in case of a sudden power outage. You'll have approximately 9 minutes to finish your work if the UPS is half-loaded and 2 minutes if the device runs at a full load. USB ports on the front panel significantly contribute to the versatility of the device, you'll be able to connect your portable devices for charging without the necessity to hook them up to USBs on your PC. Additionally, if you need a special solution for charging several portable devices at a time, you should have a look at charging stations!Another huge benefit is a special display that shows the load level of the device, the current battery level, and the remaining time until the UPS shuts off. 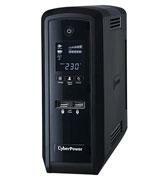 Even though you overlook the power outage, the CyberPower CP1300EPFCLCD will alert you with a certain sound signal. PowerPanel® Management Software is also worth mentioning since this application allows you to configure your UPS from a PC. Great! 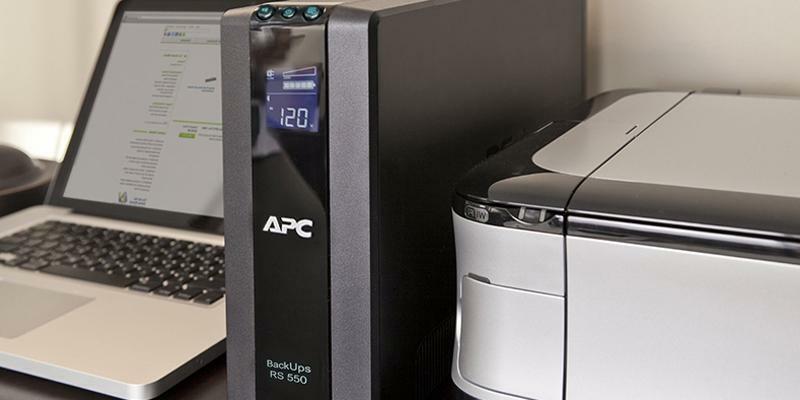 If you worry that your electronic equipment may become damaged as a result of power grid problems, we recommend you to acquire the APC BX-series Uninterruptible Power Supply. The device has a simple design and can warn you about any malfunctioning in an electrical network. A LED indicator on the front panel shows the status of the device. 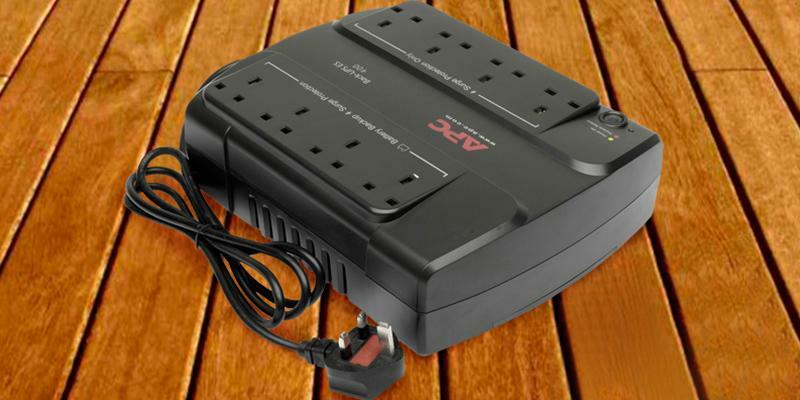 The Six IEC-C13 outlets boast protection against harmful interference and power surges. The battery backup allows you to finish running processes and switch off different multimedia devices in the event of a voltage drop. By the way, the power output of the UPS is 780W, quite enough to hook up all your sensitive equipment. Moreover, you'll be able to protect your phone line, connecting cables to RJ-11 connectors. 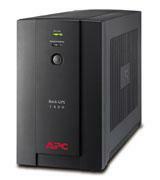 The APC Back-UPS ES 400 is one of the best uninterruptible power supplies in terms of ease of use. 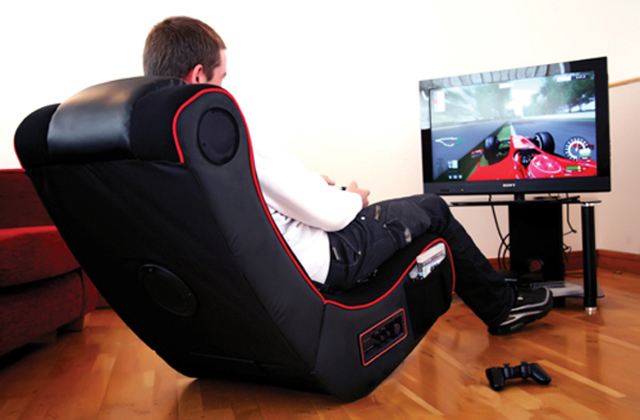 Its power output is enough to power a desktop personal computer, gaming consoles, and other low-power electronics. 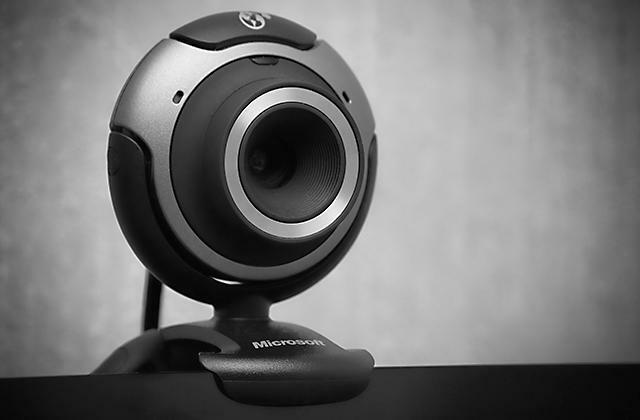 The device offers a comprehensive protection against voltage surges. Additionally, thanks to the built-in RJ-11/RJ-45 connectors, it protects phone, fax and Internet lines. The UPS can be placed in both vertical and horizontal positions on a wall, therefore, it's up to you how to place the appliance. 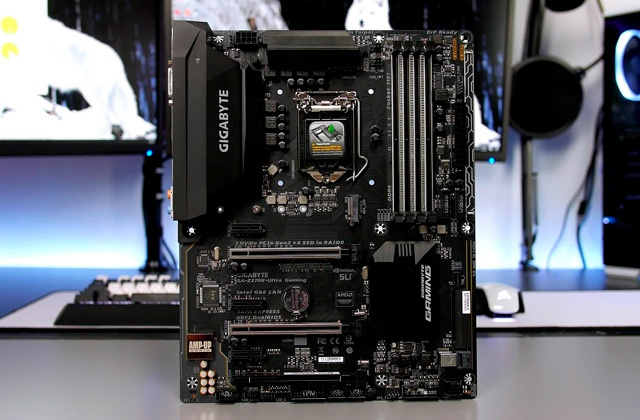 The distance between mounting holes equals 165mm and you should not forget about it when mounting the device. Colour indicators and sound signals will notify you about all power grid troubles. Besides, we recommend you to consider getting surge protectors intended to secure sensitive equipment against voltage surges and spikes. 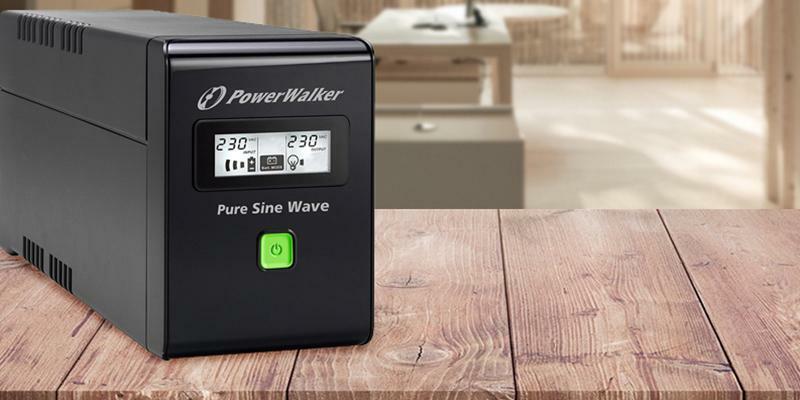 The PowerWalker VI 800 SW/UK Pure Sine Wave Uninterruptible Power Supply has three IEC C13 outlets and connectors for phone and Internet lines. 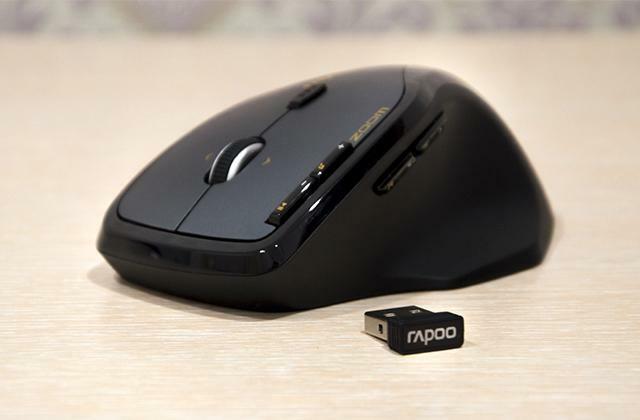 The device features a 12V/9Ah battery which requires only 4 hours to be charged to 90%. It's, actually, an excellent result since most similar devices typically need more time to be fully charged. An LCD display is also worth mentioning as it shows both input and output voltage, a load level, and a current mode. A power consumption indicator is a handy feature as you'll be able to understand how many extra gears you can hook up. 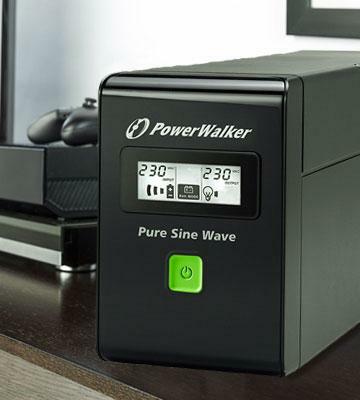 Yet, remember that the total power output of the UPS amounts to 480W. Take a peek at power banks and don't worry about your gadgets running out of charge! This UPS unit will be an ideal solution for people who prefer controlling multiple devices connected to it. 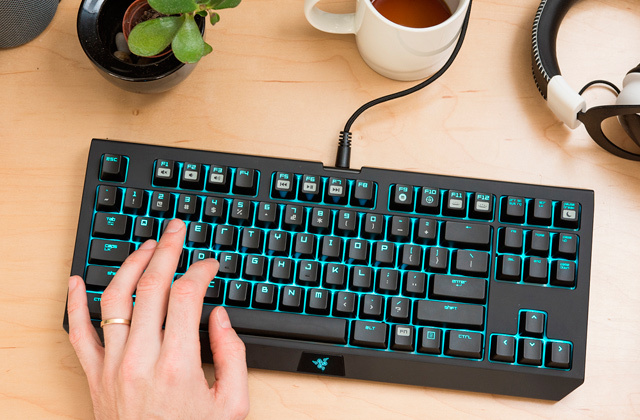 Using the PowerChute, you'll get the control over the energy supply to your computer and peripherals. The device boasts such important features as the Automatic Voltage Regulation (AVR), data line surge suppression, etc. 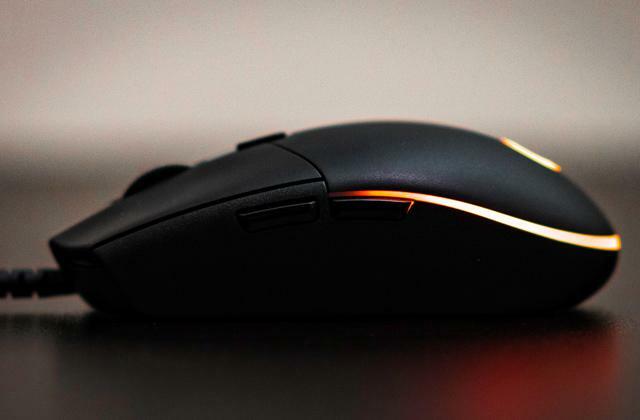 Apart from that, the energy saving function automatically powers off peripherals and other connected electronics when a master device shuts down to save energy. Besides, an intelligent battery management maximises the battery performance and lifespan owing to intelligent charging. The control buttons and LCD display show you all the necessary information about the unit's performance. 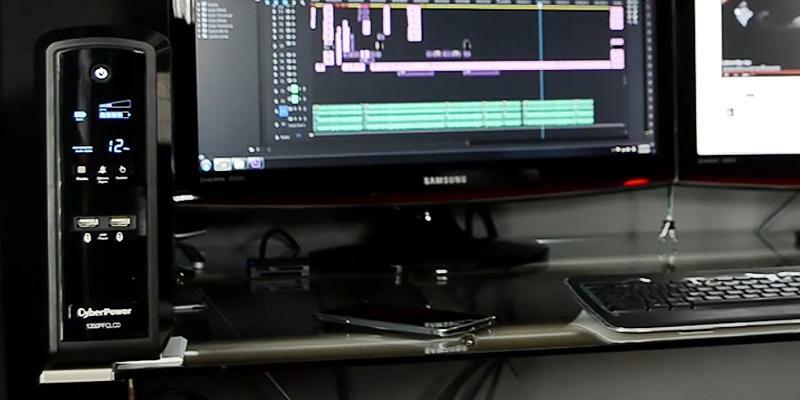 Thus, this UPS is extremely easy-to-use and you will quickly learn how to control it!If you wish to create an ideal working space, pay attention to computer desks as well. Most modern houses are stuffed with electrical devices. They all add to our life’s convenience, but electronic equipment is very sensitive to an unstable line voltage and power surges. The perfect solution is an uninterruptible power supply (UPS). 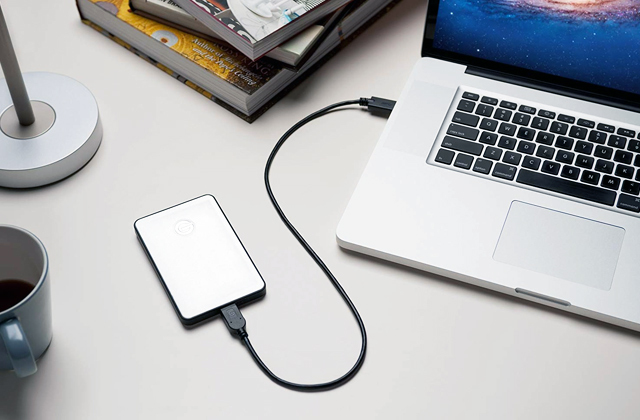 This device has a powerful battery backup to provide your electronics with temporary power supply and save all the important data on your computer if utility power fails. The UPS will secure your gaming PCs, computer monitors, all-in-one desktops and many other devices. 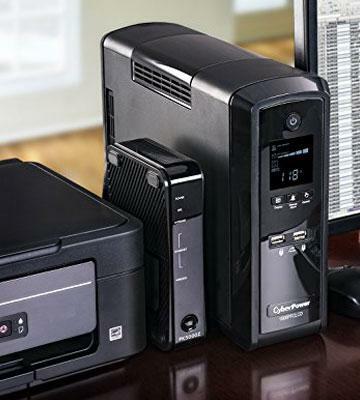 We have selected 5 best uninterruptable power supplies. 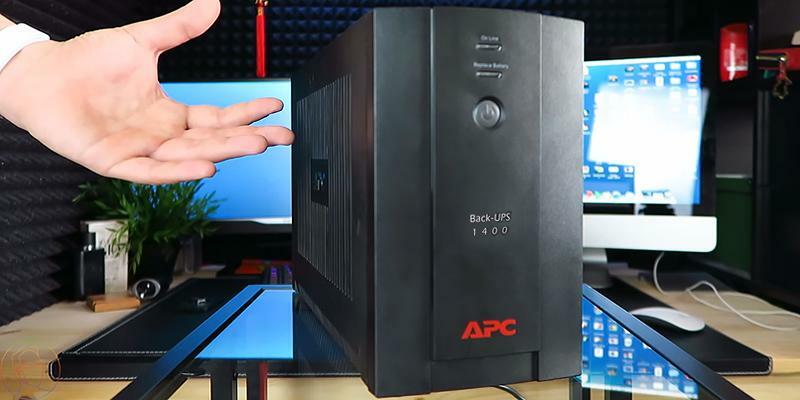 You will find the tips on how to choose a perfect device in our best UPS review. The first tip we'd like to offer is, while choosing and purchasing an uninterruptible power supply, look at the UPS Type. Today, there are two main types on the market: standby and line interactive. The standby UPS is used to feed the plugged electrical appliances or recharge a flat battery (when the line voltage is satisfactory). During voltage interruptions or deviations, the device assures a battery backup. As for the line interactive UPSs, they have an additional voltage stabilisation function. It means that in the case of voltage fluctuations the UPS stabilises a voltage using a transformer without any battery backup. If it is impossible to stabilise the voltage deviations during a power failure, the line interactive UPS switches to a battery power supply in 3-4 milliseconds. The next thing you should keep in mind when choosing a UPS is Battery Characteristics. Firstly, consider the battery capacity measured in volt-amperes (VA) or Watts (W). Secondly, the UPS should have a 20% to 30% higher capacity than that of the electronics to be plugged in. To select an appliance with the appropriate power supply you should calculate how much energy would feed all the appliances you are going to connect to an uninterruptable power supply. 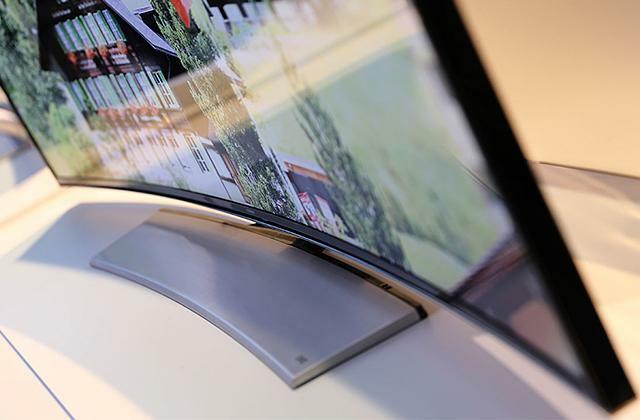 For example, a 350-500 VA capacity would suffice for an LCD monitor, a PC with components of average parameters. UPS with 500-1000 VA power supply will feed game computers, high-power computers with two monitors. 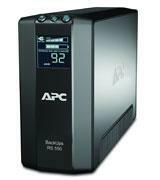 Uninterruptible power supplies with a capacity higher than 1000 VA will let you protect additional peripheral units. Another important characteristic is UPS wireless productivity. A standard UPS in household use provides your electronics with up to 15 minutes working under peak load conditions. This time is quite enough to save all your data and shut down your computer properly. 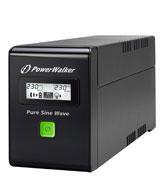 Uninterruptible power supplies with reliable lead-acid batteries have a rather short recharge time, about 8 hours. 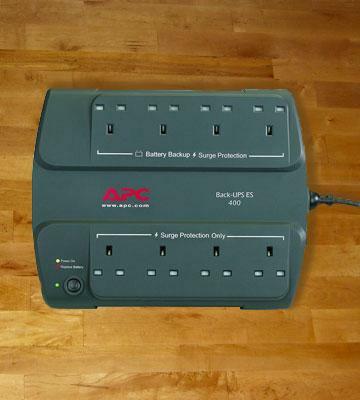 One more important point in choosing a UPS is its Power Surge Protection. In addition to a no-break power supply, modern devices provide an efficient data line protection. For example, a telephone, a computer network. Each interface has input and output connectors. In between them, there is a filter correcting high-voltage interferences. You can connect a router to a USP via a network cable. 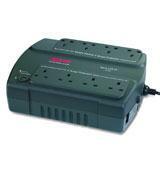 The most modern uninterruptible power supplies support data transmission to your computer through a USB or a COM port. 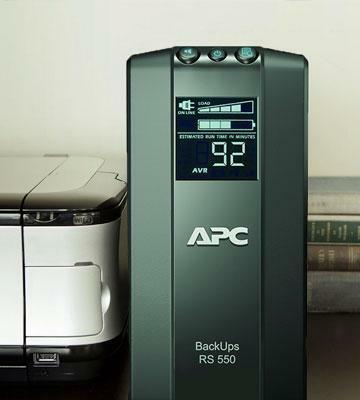 Thus, a UPS gives you essential data on battery backup condition and charging, on electric network performance; informs you if the UPS turns to a wireless power supply; properly shuts down the PC while you're away; saves all the open app data in case of a power surge or fault. You can monitor and adjust the device performance from your computer. UPS manufacturers usually supply a specific software for this option. The last important tip for selecting a UPS is to look through its Extras. Contemporary devices have displays for monitoring the UPS performance. As for the low-budget uninterruptible power supplies, LED indicators usually inform you about the device operation. Sophisticated models feature an LCD display with the detailed information on a USP condition and its performance, as well an audible alarm. A quick UPS power battery replacement will add to your device's convenience. As a rule, battery serves for 2–4 years depending on how often the battery backup is required. A replaceable device battery will prolong your UPS service life for minimum 2 years. Usually, UPS have both surge and battery backup outlets. You can use the former for appliances that need a surge protection only. They will not affect a battery backup power, which will extend the battery useful life; the devices with more outlets of this kind are preferable. 1. 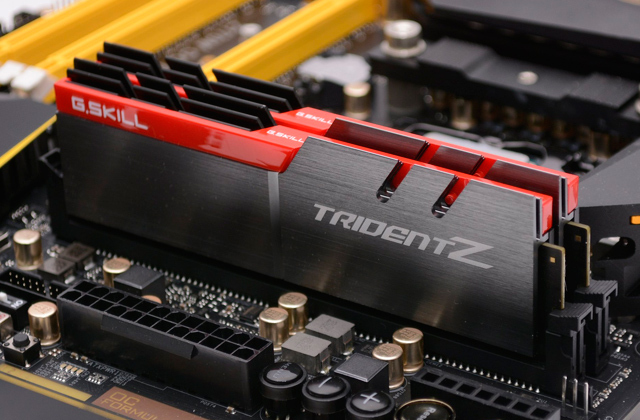 How Do I Choose a Good UPS for My New Computer, Tom's Hardware. September 15, 2013. 2. How to Select a Battery Backup for Your Computer, How-To Geek. 3. Matt Smith 5 Things You Need To Know In Order To Buy The Right UPS, MakeUseOf. September 10, 2013. 4. What is a Battery Backup? Lifewire. 5. How an Uninterruptible Power Supply Works, Tech-FAQ.